Fitness requires the power of three: aerobics, strength training and healthy eating. But a fourth element can enhance each of those other powers: relaxation. Relax to keep fit? We know, it sounds crazy. But we are not talking about vegging in front of a screen nor sipping a poolside margarita. That kind of rest is fine (once in a while), but it probably won’t help you lose weight, gain strength or become healthier. Mindful relaxation, however, the kind that clears your head and quiets your soul, actually does trigger physical changes in your body. Recent studies show that the right kind of relaxing can reduce blood pressure, slow down heart rate, and affect what hormones are released. Deep relaxation is not self indulgence. Relaxation is one more tool we can use to become stronger, achieve balance, and connect the physical, mental and spiritual aspects of ourselves. Shirlee’s offers the perfect place to unwind because we give you an oasis where you can free yourself from distractions. We also offer tools to help you refresh and reboot. Shirlee’s wide range of yoga classes teach you how to stretch your muscles and focus your mind. The classes are free to members. Instructors gear yoga sessions to both novice and advanced students. According to researchers, meditators shift their brain activity to different areas of the cortex—brain waves in the stress-prone right frontal cortex move to the calmer left frontal cortex. In other words, they were calmer and happier than before. If you have never tried yoga, we invite you to come to a class and get started. 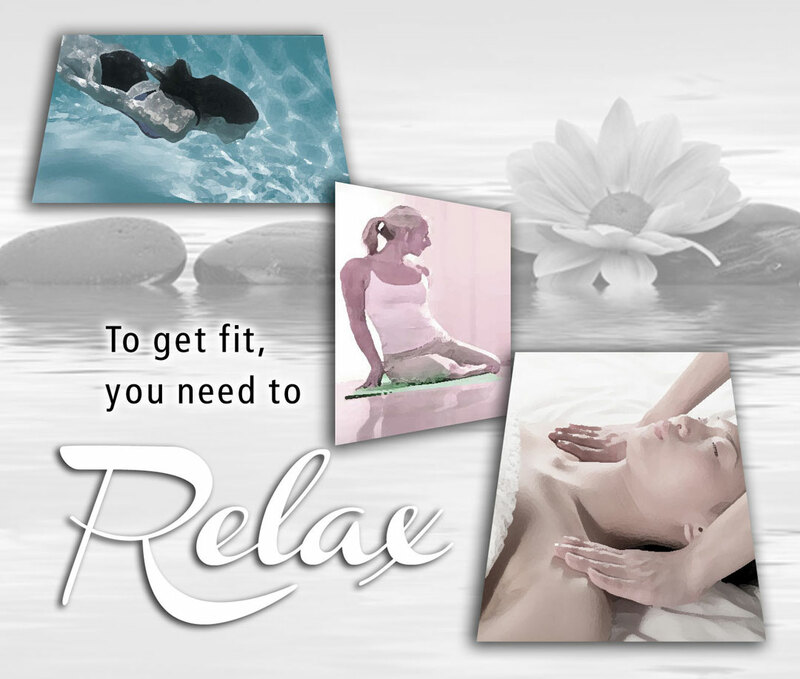 Shirlee’s health spa, RELAX: Mind Body Spirit, offers a wide range of massage services, and members receive a discount. Our therapists work with you to ease tension in known problems areas and loosen areas you did not even know were tight. Not only will your muscles feel better, research has found that physical contact can trigger a boost in serotonin, a natural antidepressant. Many people find swimming meditative, and Shirlee’s has a pool that is just the right temperature to jump into for leisurely laps. Afterward, soothe your muscles in our jacuzzi or rest in the heat of our new outdoor sauna. Everyone knows a sauna feels good and helps you relax. But did you know the heat in a sauna increases your heart rate, providing the same metabolic result as a brisk walk? Heat also causes blood vessels to expand and increases circulation. Saunas induce sweat, helping to cleanse the skin and stimulate the immune system. Finally, Shirlee’s offers female companionship. While you are here, make a few friends who share your fitness goals. Studies show that connecting with others can inhibit negative stress hormones and release positive ones such as oxytocin. When you take time out to refresh and reconnect, you are not indulging in a luxury or wasting precious time. So don’t think of Shirlee’s as just a place for an aerobic workout. Balance workouts with relaxation. Mindful relaxation makes you stronger, more energetic, and happier in the long run. As you take a break to celebrate Labor Day, remember the healing power of relaxation and try to incorporate it into your fitness routine all year long. Happy Labor Day from the staff at Shirlee’s. This entry was posted in General and tagged Health Benefits of Relaxation, Inland empire womens gym, Relax to Keep Fit, shirlee's fitness club for women, shirlee's fitness club for women in upland. Bookmark the permalink.